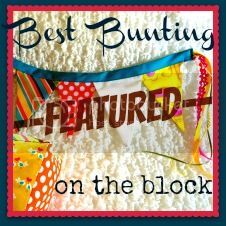 Best Bunting On The Block: Bunting on a Pillow! Looking for the best bunting around! 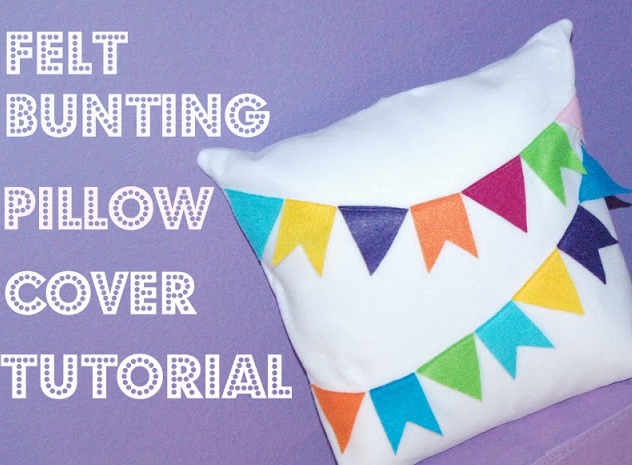 Amy from "Clippie Dips" gives us a thorough tutorial on a Felt Bunting Pillow Cover. 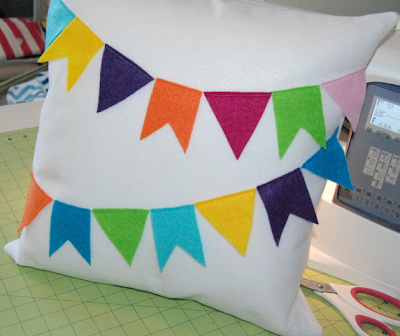 I love the vary-ing types of bunting and those fun pops of color. I don't know where you live, but here in paradise, fun colored felt is hard to come by. I've been searching for that green felt she uses to no avail... I might just have to give in and 'ebay-it'. But this post is about a spirited felt pillow, not my quest for green felt. Head on over to Clippie Dips and see Amy's full post! And get started on your felt bunting pillow cover. Then... link it up here! That is so adorable. You are inspiring me to get started on the one for Violet's birthday party. Got any of those? 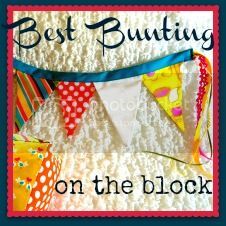 I want to feature it, right here on this blog, because I'm looking for the "best bunting on the block." Send me an email at jedandivy@icloud.com with a link to your webpage, (or with your attached images), whatever info you'd like me to include, and I'll feature it right here. After all, what's better than bunting? Link up your bunting here! Visit my DIY blog, jedandivy.blogspot.com for a ton of fun projects for adults and kids. Visit my dance blog, cornertocorner.blogspot.com for my favorite quotes from my dance students.